This photo originally ran in the Daily News in 1970. 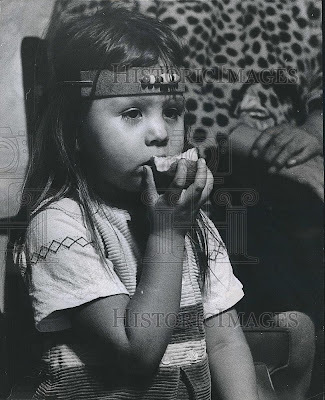 The young girl was attending a wedding of Julie Margaret York of Hong Kong and Ronald Joseph Winters, a member of the Chippewa nation, at 1354 W. Wilson in Uptown. Very cute kid! I am also going to get married at one of the local Chicago wedding venues and I personally love 70s weddings so would like to use this vintage theme for our big day. It will be very helpful for me if anyone here could share some inspirations here. The girl looks very beautiful, I want to know how she is now?